Having a great website has become a vital part of marketing your practice. Your website will often be the first port of call for those looking for a new Optician or Optometrist - it is your digital shop window. Therefore, it is vital that your website presents the correct image and message. First impressions are all important! 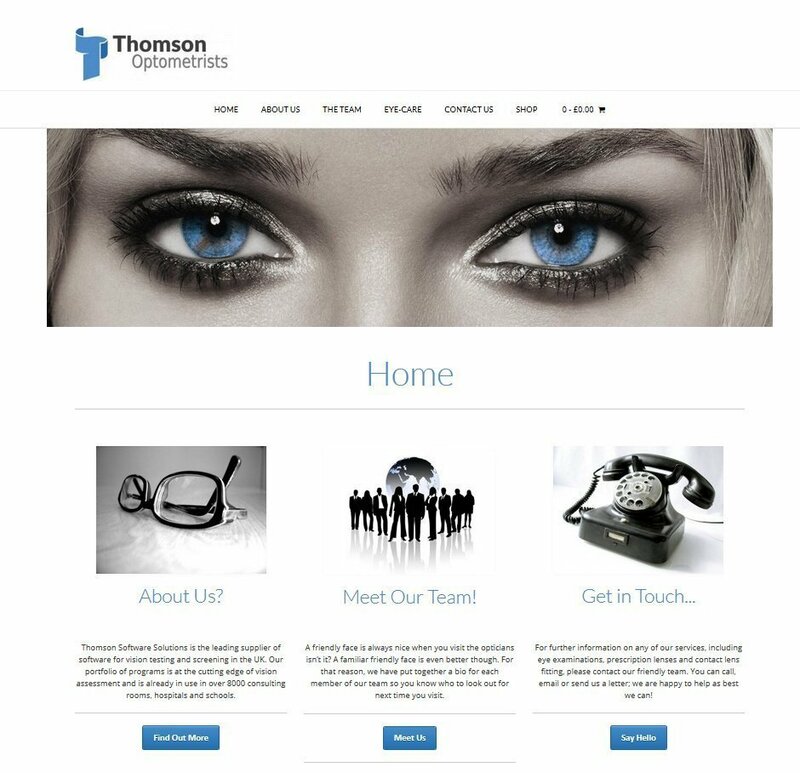 Thomson Software Solutions has been providing innovative software solutions for the Eye Care Market for over 16 years and more than 8000 eye care professionals use our software. We know and understand the Optical Market. In response to a growing number of requests, we have set up a website development department. Our team, consisting of experienced web developers, graphic designers and marketing experts, brings our normal philosophy of "innovative solutions at affordable prices" to the world of web development. Our Flame package is designed for those practices looking for a basic web presence. With up to five pages you can make a stunning first impression, tell people about the services you offer and let them know where you are and how they can contact you. A well-designed website does not need lots of pages to get your message across! With up to 12 pages, our Fire package allows you to go into more detail about the services your practice provides. Add "News" pages, provide information about common eye conditions and provide a gallery of your frames and lenses. Stand out from the crowd with a website which engages visitors and captures the philosophy of your practice. The "Inferno" package gives you maximum flexibility to design the website that meets your exact requirements. Up to 18 stunning pages with the choice of galleries, contact forms, videos, newsletters or virtually anything - you name it we can probably do it! With the Inferno package you can create a full-featured website which will be tailored to your exact requirements.